No matter how serious or minor, Florida drivers are legally required to stay at the scene of a car accident. 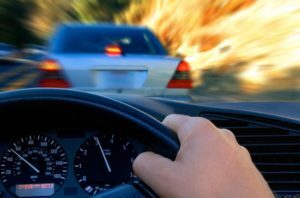 Of course, some drivers do not want to accept responsibility for their actions, but leaving a car crash prematurely might only make the situation even worse. Recently, Florida’s governor took a stand and demonstrated just how grievous it is to leave the scene of a car crash. A new law equates fatal drunk driving and hit-and-run accidents in terms of criminal penalties. Now, those who leave the scene of a fatal motor vehicle accident face a minimum of four years behind bars. The same now applies to fatal drunk driving accidents as well. The bill was set into motion by the death of a South Florida biker. Slightly more than two years ago, a father of two was on an early morning bike with a friend when he was struck and killed by a driver. The two bikers were left at the scene, but the driver fled. It wasn’t until hours after the crash that the at-fault driver came forward. Apparently, he had been drinking the night before the accident, but police were not able to get an accurate blood-alcohol concentration reading at the time of arrest. Knowing that the criminal part of the law recognizes hit and runs as the irresponsible, uncaring act that they are, victims may be wondering if there are any other legal tools available. Every fatal accident is tragic, but fleeing the scene adds another layer of pain. Through a civil claim, accident victims or their relatives can still hold at-fault drivers responsible, but in a different way. Nothing can bring back a loved one after a fatal accident, but seeking recovery can help put a family on the path to being made whole once again.